Time for another Born Pretty Store giveaway! This one's got three winners! Don't lie on the entry form - I'll be checking! I am not responsible for any prizes lost in the post. This hasn't happened before, but just to be safe! So, the prizes! They're all in the form of vouchers to Born Pretty Store. If you haven't heard of BPS already, they supply a huge amount of nail art supplies. Most of my art stuff comes from there, and I regularly purchase and review their products. I've been working with them for about two years and haven't had a reason to stop ☺. Their prices are very good and they have international free shipping. Prize One: $20 voucher to Born Pretty Store! 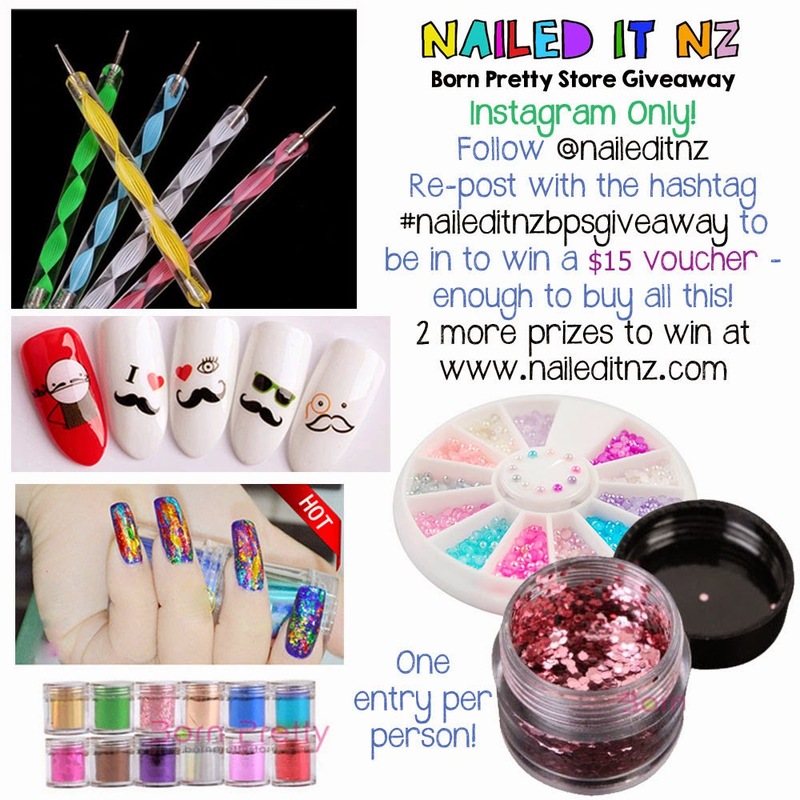 Prize Two: $15 voucher to Born Pretty Store! 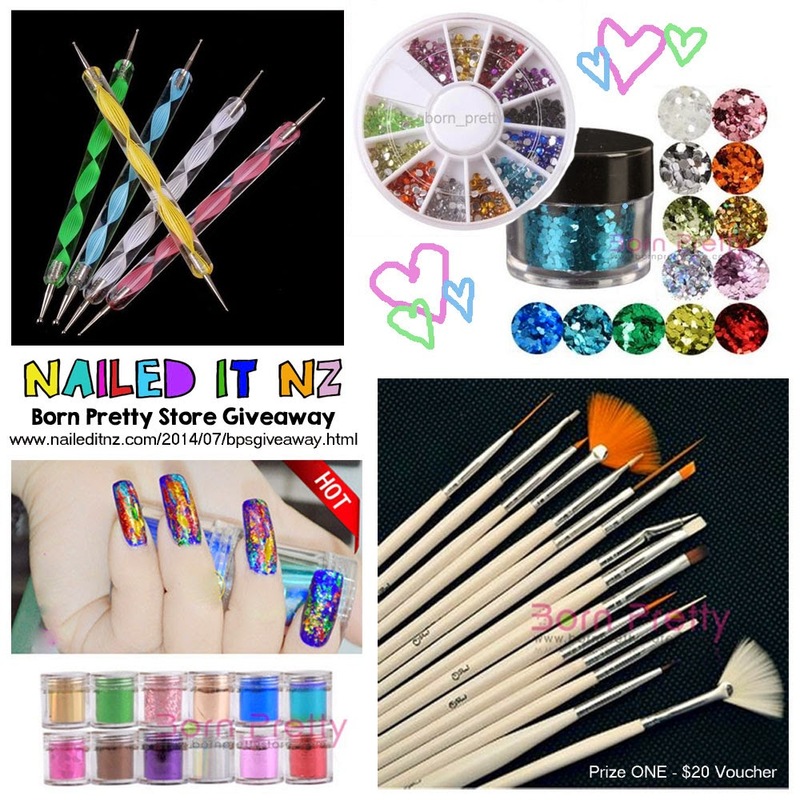 Prize Three: $15 voucher to Born Pretty Store! This part of the giveaway is exclusively run through instagram - I'll choose the winner off there. All you need to do is follow me on instagram and re-post the picture below (it'll also be on my IG account). 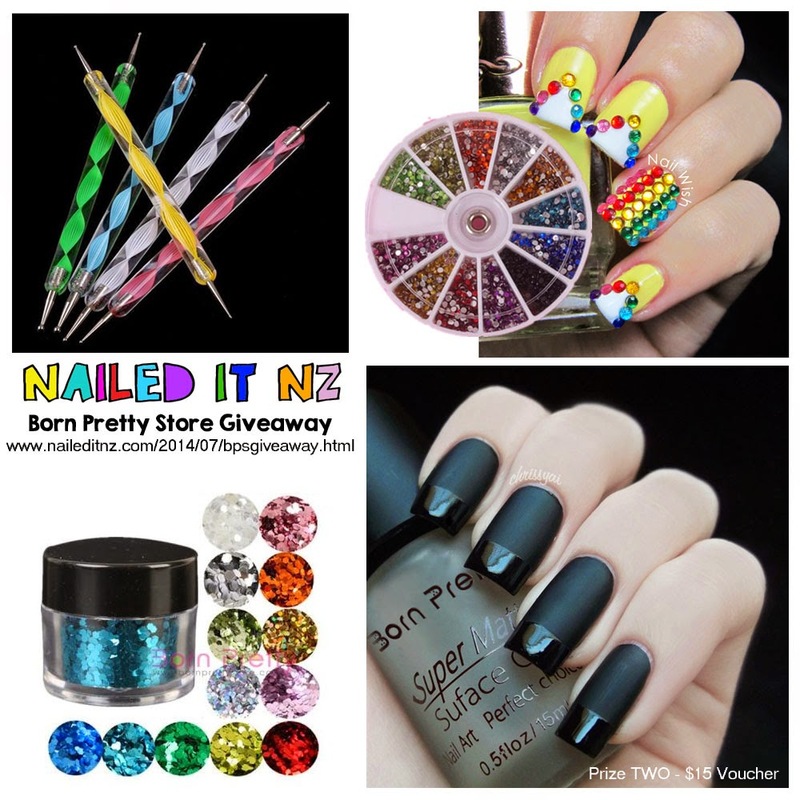 Find me @naileditnz and use the hashtag #naileditnzbpsgiveaway to be in the draw! I also have this code for 10% off, so really you can get more than what you see above! Enter through the Rafflecopter widget below to be in to win the first two prizes, and head over to instagram to enter the third! Remember, no cheating - if you haven't commented, followed or "liked," don't say you did! Each person can only enter once. The giveaway will run for one month, starting at midnight on the 20th July, closing at midnight 20th August. Any questions? Feel free to ask in the comments. Good luck!! Entering for the first two! thanks to you for this ! Entering for the first two! I would most like to win anyone of the three prizes! I am entering the instagram giveaway too! I'm entering the first too. I would buy studs, rhinestones and water decals!! Thank you for the giveaway!! Just the first two, but I would love either...and I really want to try nail foils! They look so neat! Any of the prizes would be greatly appreciated!! I would love to buy brushes and the matt polish. Participating in instagram giveaway too. I would love to win any of the prizes. I need more mixing balls and some more Waterdecals. No, I'm just entering this giveaway and not on IG. Thanks for the Giveaway! I can't participate on instagram have no account there... I'd like to win any of the other prizes. I've heard of the born pretty store but never bought anything from there. Might have to one of these days. Woot for the giveaway!! The First two I don't Have Instagram ! Thank you for a Chance To Win In your Awesome Giveaway !!! Only enrtering the first two. I would choose tools and I don't know what else. But it would be so much fun looking and choosing. Obsessed with your tutorials! Thanks for the chance to win something! I would like to win the first two prizes- some nail art decals. I'm not entering the instagram giveaway, as I don;t have an Instagram account.So I'm just entering the first two. Entering as much as I can XD badly need supplies and the things look fabulous. I am interested in the bling, brushes and foils. I am entering both giveaways. Thanks for the opportunity to win. I am so glad I found your blog. It's awesome! I'd probably buy loose glitter or studs, or one of the bps stamping plates if I won, and I'm also entering the IG one! Absolutely LOVE your stuff! The brushes would be high on my list :-) I don't have an instagram :-( Seriously thinking maybe I should get one after this. I would LOVE to do the tweeting thing,but I have never been able to actually get into the twitter account I made. :-( I gave up on them after a while of no responses from their admin for help. i would love to win the 20.00 and spend it all on brushes and who knows what else as there is a lot to choose from. I am not entering from Instagram as i do not have an instagram account. i would like to win the first prize of the $20 voucher. I did enter on instagram.